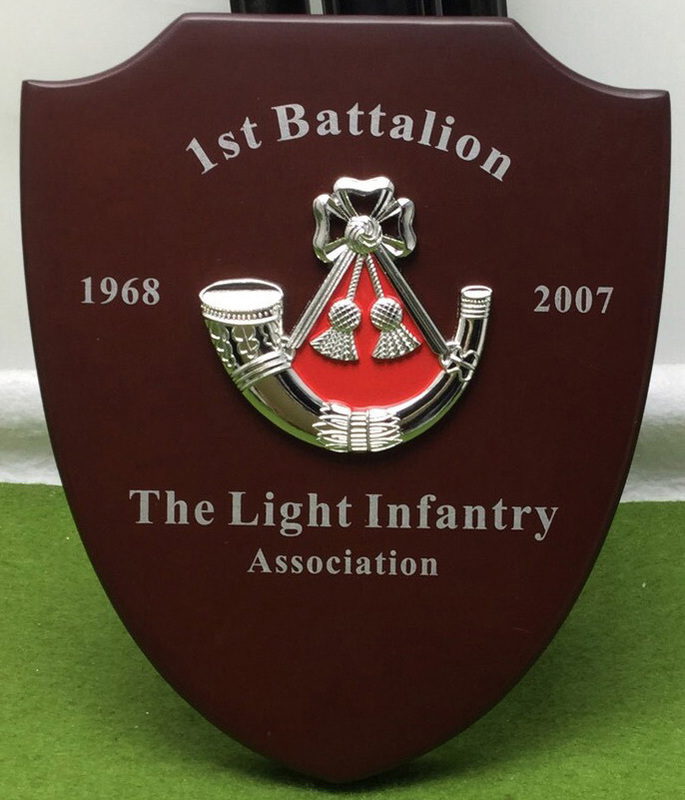 The 1LI Association has commisioned only one hundred of these bespoke wall plaques and they are roughly Six Inches high and Five Inches at the widest part. 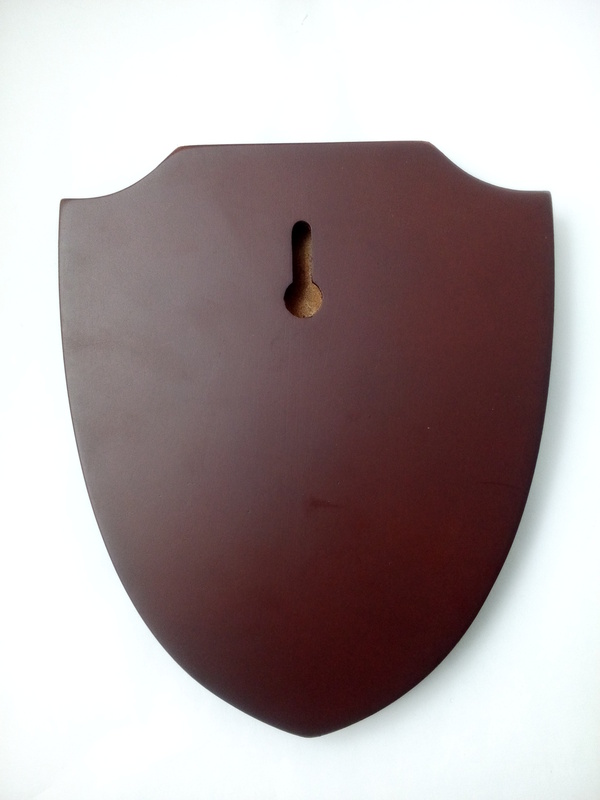 This solid wood wall shield has a specially moulded metal Light Infantry cap badge with red backing, which can only be purchased via ourselves and once sold out they will not be re-ordered. A small space has been left at the bottom of the plaque for association members to be able to organise their own personal plate to be engraved and fitted if they so wish.